“The perfection of a Bösendorfer exceeds my wildest expectations” – throughout his life Franz Liszt was enthusiastic about the pianos of the (then) young Viennese piano manufacturer Bösendorfer. The great artist was known for destroying other, more fragile instruments. Only the robust Bösendorfer grand, with its wonderful sound, was able to stand up to his rather furious virtuosity, and thus became the perfect partner for Liszt. 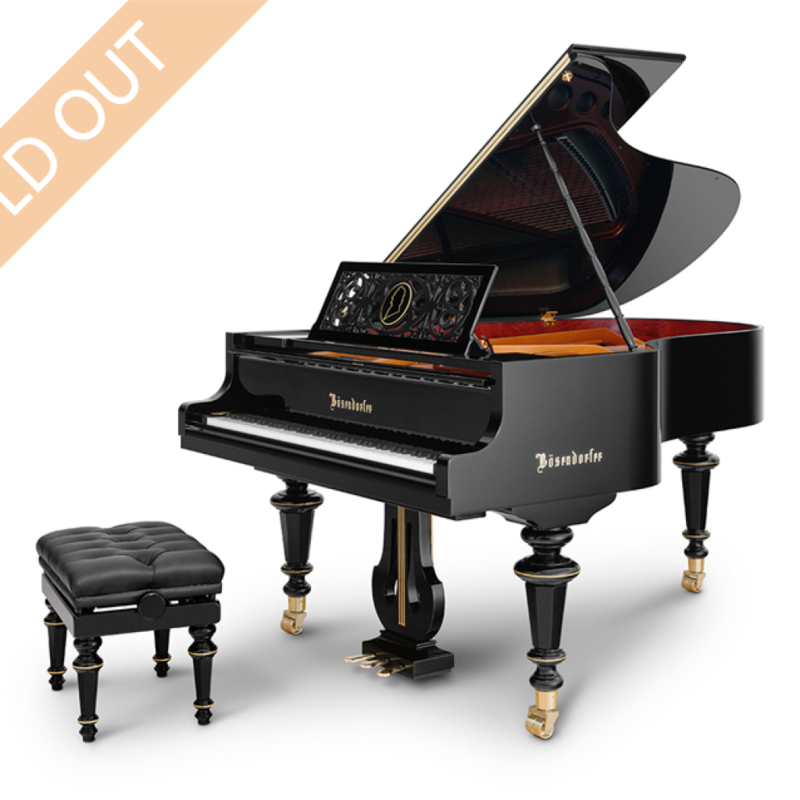 In honour of the great composer’s 200th birthday, Bösendorfer has designed a Liszt Anniversary Grand as a limited edition (25 pianos). Gold leaf inlays on the pedal lyre and legs adorn the instrument; and a silhouette of the “King of Pianists” outlined with gold leaf decorates its music desk. 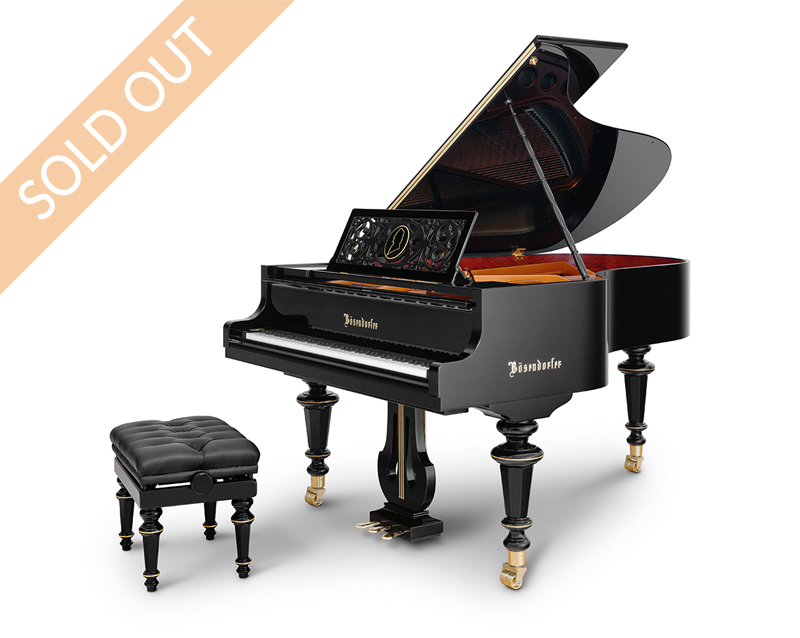 This limited edition black polyester grand piano is available in several sizes.